TapRooT® Course in Monterrey, Mexico! Are you planning to join TapRooT® in Monterrey, Mexico for a 5-Day TapRooT® Advanced Root Cause Analysis Team Leader Training (Spanish) on August 21, 2017? Monterrey is one of the largest cities in Mexico, and is home to many important industries and businesses such as CEMEX and Mercedez-Benz Mexico. Not only is it an industrial hub, it’s filled with culture and beauty, as well. 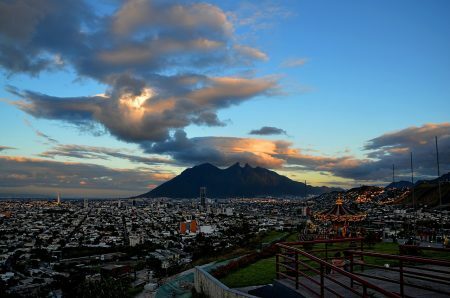 This city is surrounded by the Sierra Madre Oriental mountains which have public trails and canyons for anyone to admire the natural beauty that Monterrey has to offer. We still have a few spots left, you won’t want to miss this opportunity to travel and gain knowledge to benefit your company. El Gaucho: This warm, friendly restaurant offers classic Mexican cuisine that can cater to all pallets. Sante Fe: In the mood for a little fine dining? Sante Fe offers all the best gourmet dishes, wines and desserts. Bread Panaderos: Everyone loves a fresh bread bakery that also serves freshly ground coffee. Order a snack or a whole loaf to take home with you. Horno 3: A museum of technological history, innovations and interactive exhibits must be interesting. Check out this museo del acero to find out for yourself. Parque Fundidora: This large municipal park is always hosting activities for all ages and is a great place for site seeing the beautiful city. Planetario Alfa: Museums and an IMAX Theater all in one. Take a tour through Mexican history or watch the latest educational movie in the state of the art IMAX Theater. For more information regarding our other Public Courses, click here.